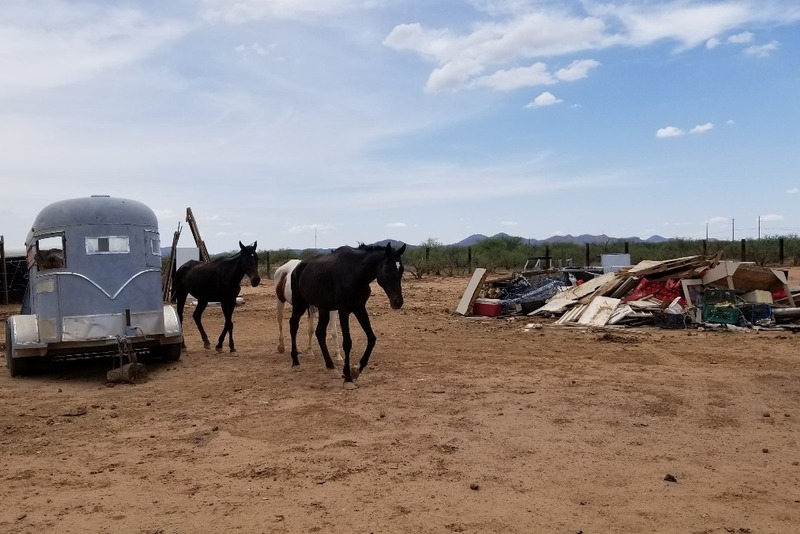 July 20, 2018: Wild Hearts Rescue Ranch Inc was called to the scene to evacuate 7 equines from a property under investigation for cruelty and neglect. 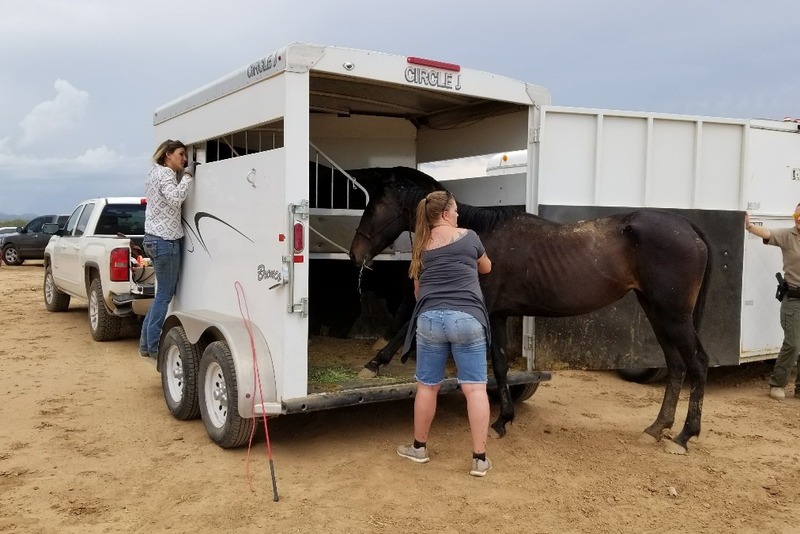 Regular residents of Wild Hearts were taken to our sister facility to make way for the new intakes, and the entire day was spent loading, evacuating, and caring for the six horses and one donkey from the scene. One horse is a stud and at least two mares were exposed. Two very likely and apparent pregnancies. All horses are below a body score of 2, which is emaciation. These animals had filthy water, no feed, and no hope. Their teeth, feet, bodies and minds need so much help. Initial vet bills/expenses look to be around $1000 per horse, roughly, considering needed blood work, treatment, vaccinations and more. Feed, manpower and professional care will be expensive, and we haven't had a single donation on their case since it began. Very scary. Several of our local news stations will be covering this story. We worked with KOLD yesterday. Please consider a donation, or volunteer some time to help feed and care for the horses at Wild Hearts. We are honored to rise to the occasion for these animals and for our wonderful Sheriff's Department and their effort to erase a horrible blight on our county. We have long struggled to see the kind of quick response to these situations that we are getting without question now. 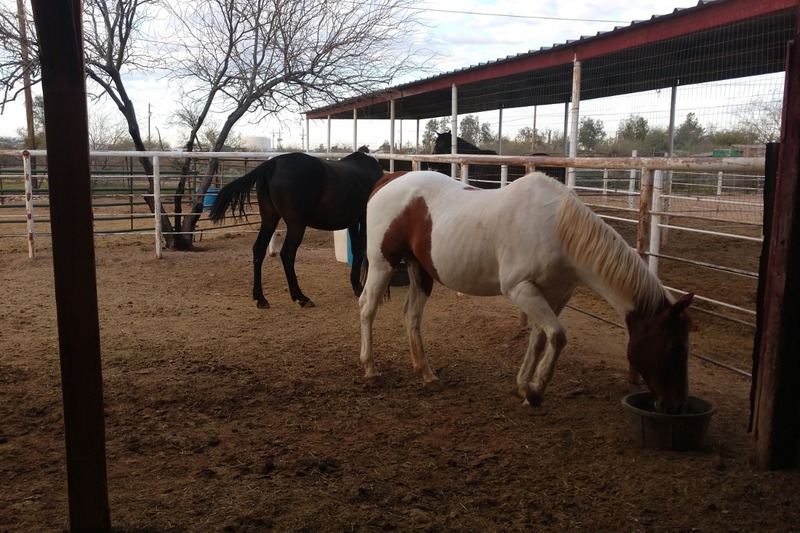 No longer will horses suffer to death in Pima County. 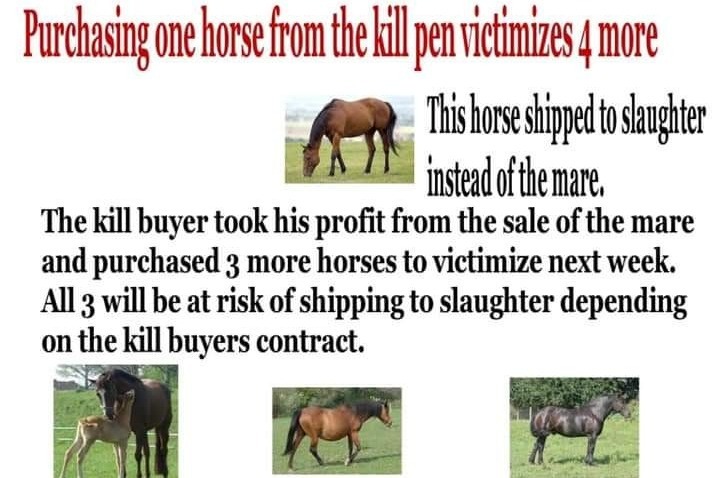 No longer will their abusers escape justice. Will you help us? We did all the hard work, we faced all the danger, and the sweat... So much sweat. We will heal these precious hearts but we need your help! The most pregnant horse in the world award goes to Franny. Her bag is tight and hot and she's making milk. Colostrum next,and then BABY! Georgia is surely soon to follow. I'd expect a baby within a week or ten days ish tops. Later this evening isn't out of the question either. Oh, baby watch without a breed date. The joy. 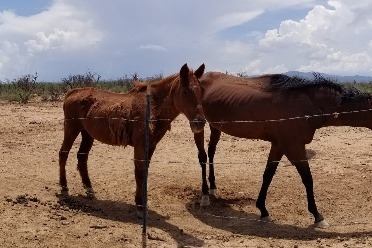 If anyone can keep the love going for the south side seven's yet to be born victims and their mares, we need more funds banked for their vet care and to be more prepared for any complications. Thank you! The south side seven have one last step to take. The mares are so close to giving birth. They have needs in the coming weeks as well as needs when we make our big move. Please consider some final donations to help with these babies and their moms! Donate to help Franny and Georgia deliver healthy babies and find their furrever, too. I've been told Wild Hearts Rescue Ranch is *less popular* for donations because we don't do kill pen pulls. Below is the best graphic I have ever found that explains why. There's also ethics I can't stomach in "hostage situation" fund-raising. It's NEVER honest. 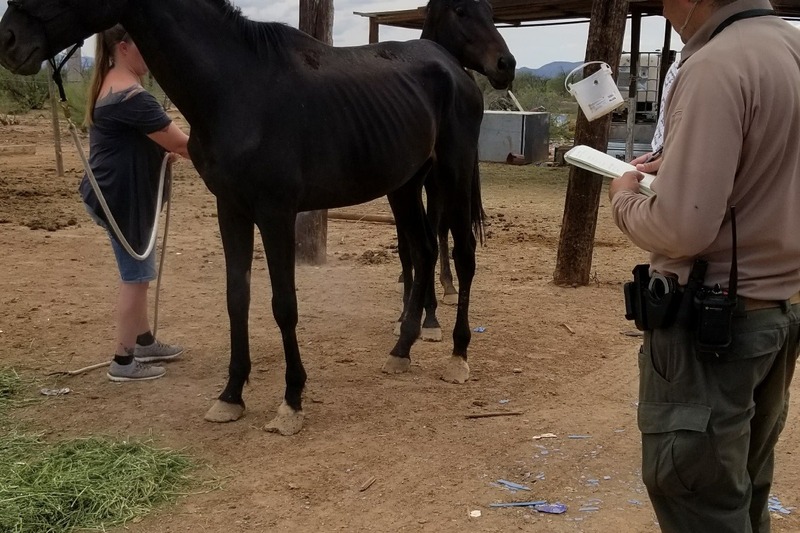 The rescue price is inflated far beyond the per pound price, enabling the "bad guy" to triple their funds for exploiting horses. It's a Payday for our ENEMY. NOT TO MENTION the rescues that have been investigated, busted, and closed for LYING TO DONORS about what the money they gave was for or how it was used. 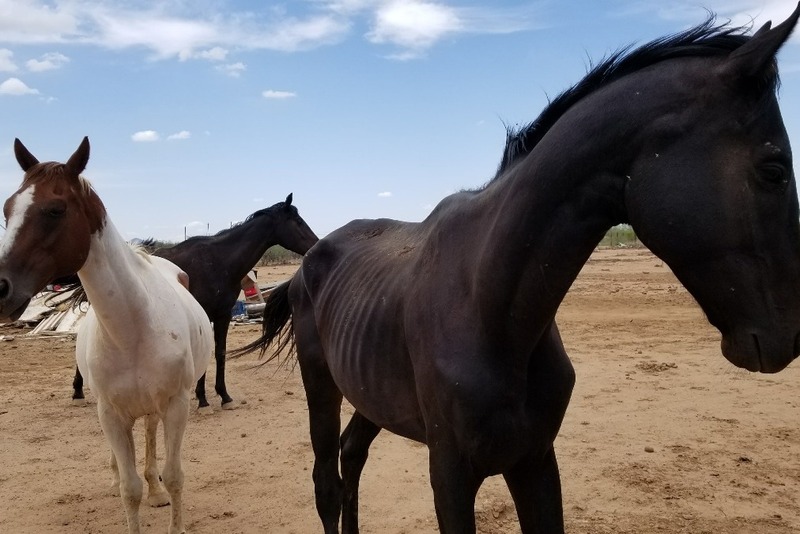 It is a rare and special priveledge to partner with you, our donor, in this unique way, to be allowed to care for these horses and save their lives, find them love, and duplicate love and kindness so needed in our world. I take this responsibility seriously. 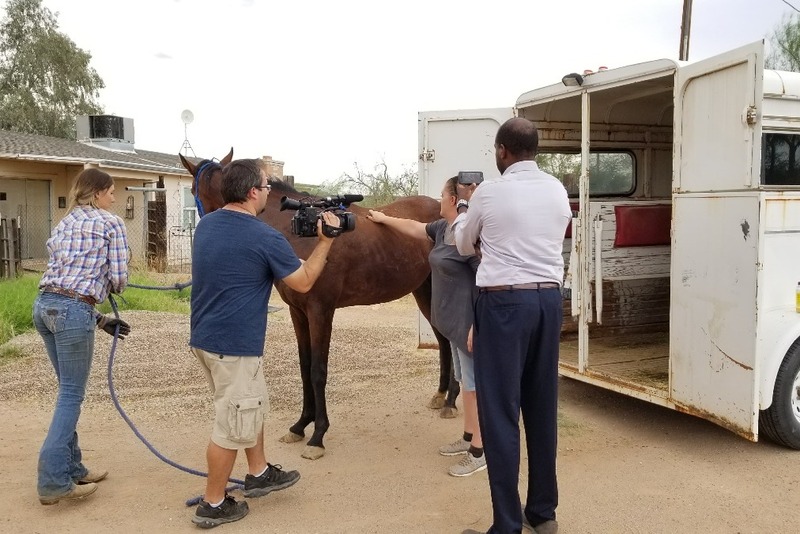 As seriously as I take caring for these horses, making sure the vet comes every time they are needed, and that everything we do here produces improvement for these horses and animals in my care. I am good for just a couple of things in this world, hard work, healing, and an amount of courage that may actually be stupidity of some variety, because fear is a wisdom of its own. 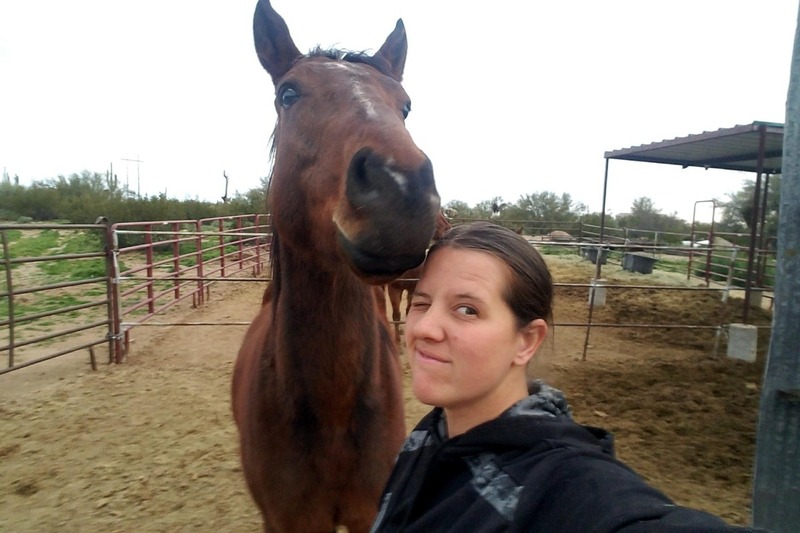 The problems I wish to address in our community and for horses are larger than the fruits of my labors can afford, but my ability to do the work and build the community that supports the work may be enough to solve these ills with your help. Please know, you support endless, constant, and total support of any animal in need that we can take in, and that furthering your support or giving us greater opportunities only gives more opportunity for healing, growth, and excellency in our program.